Obi mobiles have launched its first Smartphone dubbed as Obi Octopus S520 sporting a 5-inch HD display. The device is powered with Octa Core processor and is exclusively available on Snapdeal with the price tag of INR 11,990. Obi is new Smartphone company to the Indian market and have to face tough competition with various Indian companies. Recently Xiaomi has launched three new devices to the Indian market- Xiaomi Redmi Note, Mi3 and Redmi 1S. The Obi Octopus S520 will feature a 5-inch HD IPS touch screen with 1280 x 720 pixels resolutions. 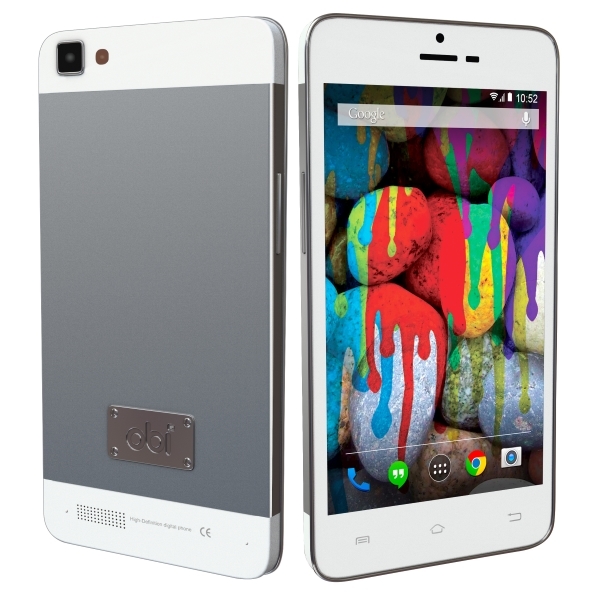 The device runs with Android 4.4.2 KitKat out of the box and is powered with 1.7 GHz Octa Core MediaTek MT6592 processor. It comes with dual SIM support with dual standby and also includes RAM of 1 GB. The Obi Octopus S520 has inbuilt storage of 8 GB which can be further expandable up to 32 GB with microSD card. The Smartphone has 8-megapixels of Autofocus camera with LED flash on the rear side with Face Detection and HDR, and also accompanied with 2-megapixels secondary camera for Video calling. The wireless connectivity options included in the device is 3G, WiFi b/g/n, Bluetooth and GPS. In addition, it includes standard 3.5mm audio jack and FM Radio. The Smartphone has 8.4 mm of thickness and is powered by 1800 mAh non removable battery on the back. The Obi Octopus S520 is priced at Rs. 11,990 and comes in White colour variant. The device is available from online retailer Snapdeal and the package includes free flip cover, screen guard and headset in the box.